Have you been charging your tenants the same amount of rent for longer than you can remember? It’s time to raise the cost of rent and increase your rental income! 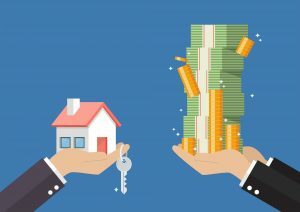 Even though doing a full renovation of your rental unit does tend to yield a larger profit in the long run, but a large renovation isn’t always possible, especially when there are tenants currently residing in the unit. The following improvements will help save you money and will also allow you to raise the cost of rent without frightening off your tenants. There are several upgrades you can make to your rental property that can help with energy efficiency, including replacing old light bulbs with LED bulbs, solar-powered lights on the exterior of the property, and new weather stripping around exterior doors. These are all small upgrades that can make a big difference. If you’ve already made these updates, additional upgrades that can are beneficial are upgrading the HVAC system, replacing old windows and exterior doors, and installing new energy-efficient appliances. Although costlier, these are excellent upgrades to make in between tenants and can help justify an increase in rent cost. Cleaning your rental property between tenants has a low-cost and can make your tenants feel right at home when their time to move-in comes. Keeping the unit in tip-top shape will also help reduce issues in the future! If your kitchen and bathroom are in good shape but need a few modern upgrades, these can be completed quickly and on a limited budget. You’d be surprised what a little curb appeal can do for a property and how easy it is to improve yours! When a property has an attractive exterior, it’s easier for potential tenants to picture themselves in the space, which can help get it rented out faster. Trim back trees and hedges, reseed empty patches of grass, put down new mulch, weed the flower beds, and work on the edging. Lamacchia Property Management offers landscaping services that are sure to take the stress of yard work off your plate and get your property rented quicker. The interior paint of your unit will get dingy very quickly, especially when you have several tenants living in the space for short periods of time. Always use neutral colors that are easy to work with and aim to repaint the walls in between tenants. Light greys are a great option as they are easy to work with and are a classic shade that will always be in style. How much storage do your current tenants have access to? If the answer is not a lot, this is a great upgrade that can help justify raising the cost of rent. Plus, too much storage is never a thing! Consider installing shelving in closets, extra cabinets (or switching from a single sink to a double sink vanity in the bathroom), or floating shelving in entryways. Thinking About Renting Out Your Place?